The Fox Engine. You've heard about it. You've seen the PR. 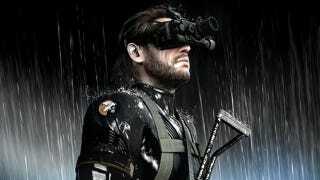 We know it's going to be the game engine for the next Metal Gear The Phantom Pain. So what's it all about? Metal Gear creator Hideo Kojima, in a recent tweet, revealed the concept of the Fox Engine, his thoughts on games, and reminded people that he is a conceptual visionary. "The concept of the ‘Fox Engine' is photo-realism." Kojima tweeted. "The age of fixating on pictures and sound in games is over. Now the questions are: How free is it? Does it connect to the internet and is the gameplay smooth? Even so, a certain level of realistic atmosphere is required. " Kojima followed up with a recounting of the past. "When Metal Gear Solid 1 was released in 1998, it was said that it was 'the day that [pre-rendered] movies would disappear.' We looked to the future and chose to have video sequences in the game that used polygon models instead of pre-rendered graphics. Now they make VFX movies with game engines." "With Peace Walker, we tried a hand-held system with the age of cloud technology in mind. People laughed at us then, too." He then concluded with a brief point on looking to the future. "Businessmen in the field always think ‘What platform or career is going to succeed? With whom/where should I strengthen my ties?' and look to the future and choose their path from there. But technology is always evolving, and it always leaves the laboratory and becomes a part of everyday life. Creators must look to that future when they create."